First Choice Apprentices – Find an Apprentice Now! Looking for reliable committed staff? Sick of using expensive labour hire. Grow your business with staff that are dedicated to your business success. 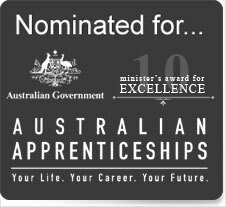 Looking for a easier way to have an apprentice on the job? Call first choice apprentices - We make it easy for you! First Choice Apprentices advertises for and interviews all applicants, who then undergo stringent assessment to ensure they have the necessary commitment. First Choice Apprentices manages all the paperwork and simply forwards the host company a weekly invoice for the hours the apprentice works. Why use First Choice Apprentices? First Choice Apprentices will provide a keen apprentice who wants to learn and become a valued member of your team. First Choice Apprentices takes care of the administrator of the apprentice: we register the apprentice, issue paylips and group certificates, maintain records of work performance, liaise with TAFE, provide workers compensation, register the apprentice for long service leave payments and pay their superannuation. Short or long term, you are able to train the apprentice for the period that suits you. Find out why you should take an apprentice on rather than labour Hire. Click here.